Need for Speed Payback is a racing game set in an open world environment. It will be focused on "action driving" and will have the three playable characters (each with different sets of skills) working together to pull off action movie like sequences. 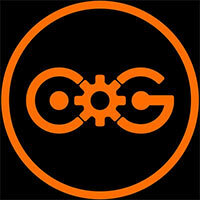 It will also feature dynamic weather system and day-night cycle which affects the gameplay. Unlike the 2015 Need for Speed reboot, Payback will include an offline single-player mode. Where Payback falters, however, is its misuse of compelling characters, lack of police force, and an open world which – while beautiful – only has about 1/8th of it in the city, leaving most of your driving to be an extended scenic route. It’s a step in the right direction for Need For Speed with just a few too many missteps. If you enjoyed Underground or Most Wanted, Payback will be right up your alley. 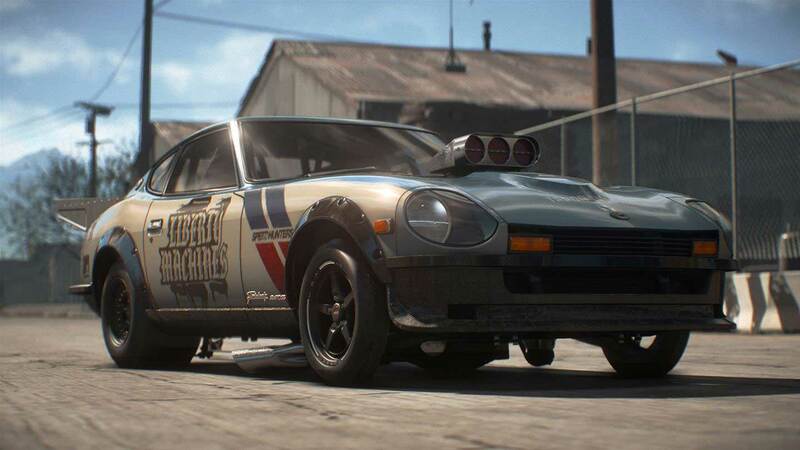 Need for Speed returns with another flawed entry. There's the core of a great racing game here and when you're just driving around the open world, it's wonderful. The progression system encourages grinding and the basic story is delivered with B-movie seriousness, taking away from the racing pleasure. There's a better game inside of Payback, but you have to go through everything else to get to it. In fact, the takeaway here isn’t that Need for Speed: Payback isn’t fun; it certainly has its moments. But those small moments of genuine excitement only exemplify the primary problem. Need for Speed: Payback is full of good ideas and, every time a new element is introduced, there is a stirring sense of promise. Need for Speed Payback is a real-world example of microtransactions gone wrong. As an open world racer, the game’s inoffensively average – but when paired with its bafflingly bad progression system, it’s frankly an embarrassment. It’s scary to think that publishers are quite literally sabotaging their own games in pursuit of a bonus buck or two these days. Part of this grind comes down to car customization, which is split into performance and vanity spectrums. The latter means that it’s fully possible to equip your vehicles with hilarious car horns, colored smoke, and other items. 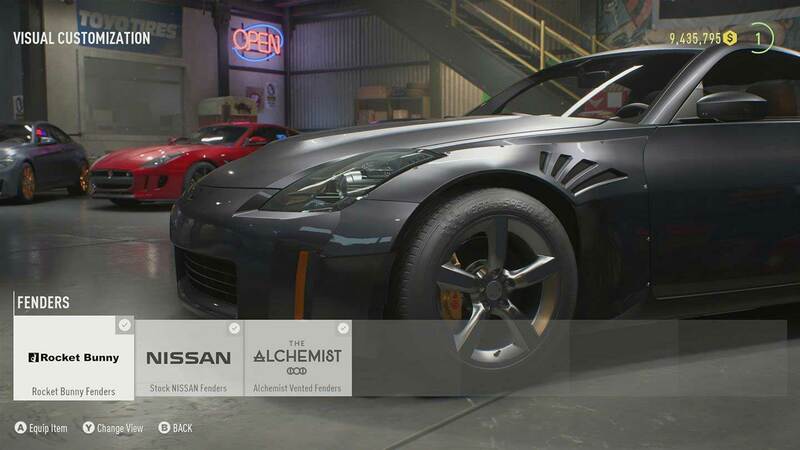 Sadly, there’s some poor user interface when it comes to customization as navigating the cars in your in-game garage is a total hassle, and shops only refresh their items every half-hour, which means a lot of waiting around when you just want to purchase a better exhaust. In an effort to adopt the stylings of other popular, open-world racers, Need For Speed: Payback presents some fun ideas with poor execution. It also misses an opportunity to elevate an NFS staple with a tacked-on, linear version of Pursuit that annoys while simultaneously reminding me of the absence of a Burnout game on the market. Need for Speed Payback's banal racing is only magnified by this focus on grinding. The simple, almost retro, handling model provides occasional bouts of fun, but it's never enough to escape Payback's flaws, with an unwillingness to let you partake in its most hair-raising moments, and a general drabness that seeps into every layer of the game. Fast and Furious, this is not; and that's a disappointing outcome. Despite it’s flaws, I still found Need for Speed: Payback quite a likeable arcade racer. Just having a narrative sets it apart from the other, more serious offerings this year, even if it’s not delivered with much panache. Sadly its attractive visuals, and alternate take on the genre, can’t disguise a gamut of poor design decisions, some of which serve to make the enjoyable racing less than enjoyable. The open world is impressively large and varied, with some attractive-looking visuals. Bland racing model with a very poor sense of speed. Awful story campaign. Dull open world events and limited multiplayer. Emphasis on level grinding and loot boxes is outright offensive. There’s a perfectly fine racing game somewhere in this mess of half-baked ideas. A fun arcade racer has been drowned in enough ‘one more thing’ additions to fill the entire run of Columbo, and the result is a rather unpleasant muddle of bland story, stop-start driving, and player control being ripped away just as things get juicy. What makes me happy is that the core elements of Payback are well polished. The cars are fun to drive, the events change enough to avoid being boring, roads are crafted with great drifts in mind, and the online racing brings people together for a good time. Payback is certainly not without its problems, but there are more pros then there are cons in this package. If you’re on the fence about this one, you can calm down and go buy it already. I don’t think anyone is going to name it game of the year, but you won’t regret adding it to your library. Need for Speed: Payback es la prueba del buen sendero que ha tomado Ghost Games con la franquicia. Entrega tras entrega se va mejorando una fórmula que apunta alto, pero que todavía necesita pulir ciertas aristas para poder rendir al completo. El trío protagonista nos llevará a las situaciones más inverosímiles a los mandos de los mejores vehículos del planeta. La sed de venganza de Ty y sus compañeros les hará medirse el todo por el todo contra las otras nueve bandas rivales que acechan Fortune Valley. Obviamente, si hace dos años que no jugáis a Need for Speed, es posible que cojáis Payback con ganas, pero lejos de aprovechar este descanso para renovarse os vais a encontrar más de lo mismo, y encima sin sobresalir en nada. 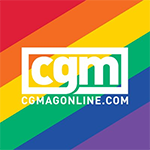 Sí, sigue siendo divertido, pero creemos que la saga necesita una profunda renovación ya sea para introducir nuevas ideas o para ofrecer una entrega que sobresalga en todos y cada uno de sus aspectos. Me desconcertó la forma de progresar, no porque no sea divertido observar las mejoras de rendimiento de los autos al invertir en las tarjetas, sino porque el grinding parece una motivación a gastar en microtransacciones. Si bien no hay anuncio de DLC de pago fuera de la edición Deluxe, las microtransacciones incomodan el progreso o la experiencia general y evidencian que las cosas no se están haciendo del todo bien. Need for Speed Payback es un título intenso, desenfrenado y divertido. Tiene todo lo que se le puede pedir a una propuesta de su estilo. 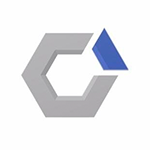 Aderezado con una historia interesante y con un reparto desbordante de carisma consiguen, sin demasiadas pretensiones, el no siempre sencillo propósito de entretener. Für mich ist Need for Speed Payback das Gegenstück zu einem Honda Civic oder Toyota Prius: Kann man fahren, doch für das gleiche Geld kann man auch ein „vernünftiges“ Auto lenken. Selbst angesichts von Fast & Furious 8 ist das Drehbuch rund um eine vollkommen belanglose Rachemär extrem schwach. N’espérez pas faire des courses contre d’autres joueurs si vous n’avez pas suffisamment grindé, chaque course étant classée en fonction de votre niveau. Aie. On s'en doutait après notre premier contact à l'E3 2017, Need For Speed Payback n'est pas vraiment convaincant. À vouloir tout faire, le jeu se perd et c'est finalement un jeu de course plutôt complet mais peu inspiré qui débarque sur nos machines. 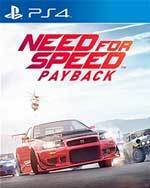 Need for Speed: Payback è un ottimo capitolo della serie e un gradevole titolo di corse arcade, che a una notevole mole di attività da portare a termine abbina una storia leggera e in linea coi film del genere a cui si rifà. Nonostante qualche forzatura rappresentata da un'IA talvolta artificiosa, il grinding obbligato e la presenza delle microtransazioni, Ghost Games confeziona un gioco accattivante, che terrà impegnati tutti gli amanti delle esagerazioni su quattro ruote. 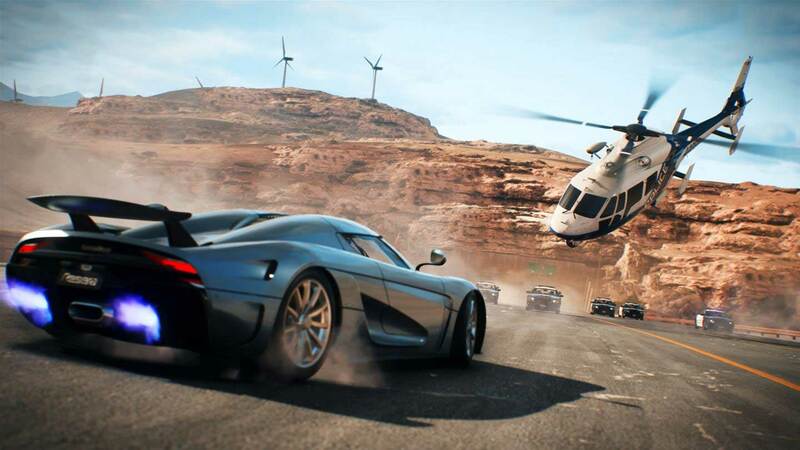 Need for Speed Payback è probabilmente l'episodio più ricco e vario della serie Electronic Arts, grazie a un open world davvero vasto, pieno di attività e di gare molto diverse fra loro. La trama non brilla per complessità e scrittura, ma ha il merito di coinvolgere e di rappresentare in modo efficace i protagonisti della storia, sia i "buoni" che i "cattivi", nell'ottica di una campagna molto consistente, duratura e finanche impegnativa. Eğer büyük bir NFS hayranıysanız oyunu satın alabilirsiniz, ancak değilseniz ve sadece arcade bir yarış oyunu arıyorsanız, en azından güzel bir indirim beklemenizde fayda var. Need for Speed Payback lijkt verschillende aspecten zo goed mogelijk te willen combineren. Het filmische van Fast and the Furious, de open wereld van The Crew en het arcade racen van Need for Speed zelf. Helaas pakt het verhaal totaal niet en wordt de game gedomineerd door het grinden om zo mee te kunnen racen. Ben je op zoek naar een arcade racer, dan kan je je best vermaken, maar haal de game niet voor het verhaal. 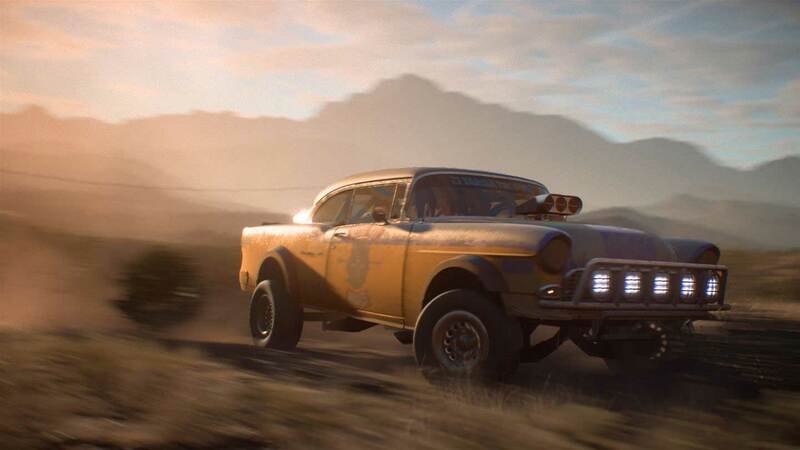 Ghost Games heeft met Need for Speed Payback een goed samenraapsel van elementen weten te bundelen in één nieuwe game. Maar er zijn dus behoorlijk wat kleine en grote missers in de game te vinden. Ondanks dat is dit zeker een geslaagde arcade racer die je, zelfs tussen alle andere racers van nu, zeker zal vermaken. 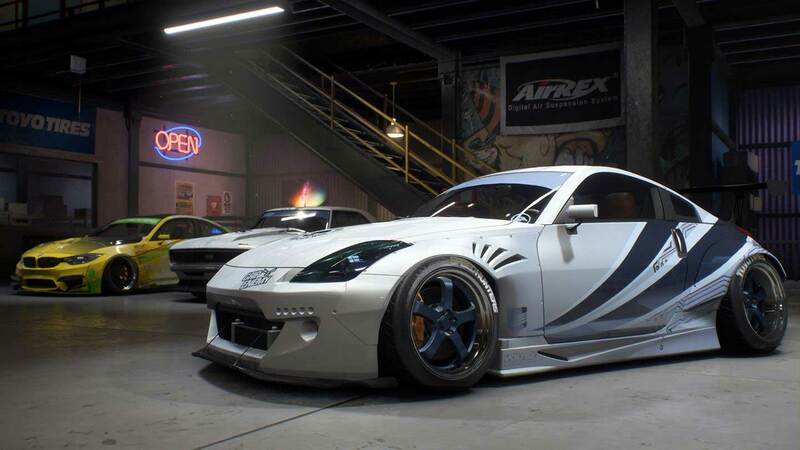 Ukończenie gry Need for Speed: Payback zabrało mi około dwudziestu godzin, ale nie jest to czas konieczny do zaliczenia fabuły. Pomiędzy poszczególnymi misjami zwiedzałem mapę, poszukując części do wraków, i zdobywałem gwiazdki związane z aktywnością poboczną.